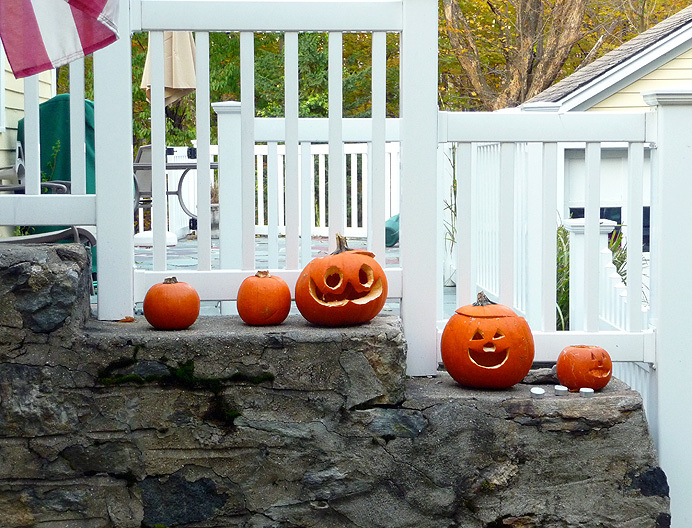 These jack o' lanterns appeared on the front steps of the Old Toll House on King Street today. Built around 1776, the house formerly served as a tollgate on the King's Highway, which connected New York State with Connecticut. (The house is now for sale.) .